💚💚💚💚💚 I loved A Family Like Hannah’s. Carol Ross has done it again with the fourth installment of her Season’s of Alaska series. At times heart wrenching, but mostly heartwarming, A Family Like Hannah’s is yet another example of her skill at creating solid, evocative stories. 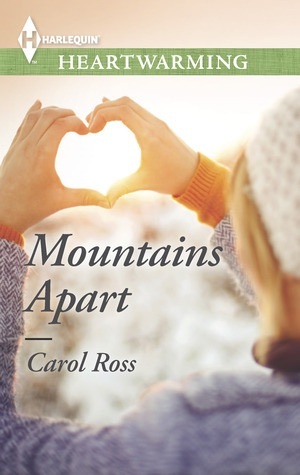 Carol Ross’s books exude a warmth and tenderness that immediately captures your attention and holds it as the story unfolds. Indicative of this is the natural, convincing way her characters find love. Hannah James, the principal character in A Family Like Hannah’s, is getting her life back on track after a tragic accident almost ended it. Still good natured, adventurous and athletic despite what she’s been through, Hannah’s dream has come true as co-partner and project manager for Snowy Sky, a ski resort in Rankins, Alaska. Tate Addison, Consultant for Snowy Sky, and unbeknownst to Hannah a dominant shareholder, has plans that threaten to upend her vision for the resort, and the two don’t get off to a promising start. Notwithstanding this, Hannah can’t deny her attraction to the handsome Tate. He’s stepped in to care for his neglected 6-year old nephew, Lucas, whom Hannah has come to adore. These factors and others endear Hannah to Tate, but Tate’s background of the same neglect and pain that Lucas endured initially causes him to conclude that Hannah is just too good for him with her large, perfect family and her seemingly unblemished life. He isn’t aware that Hannah’s hiding a secret that could halt any chances of the couples’ friendly relationship advancing to the next level anyway. Nevertheless, feelings between the two can’t be denied. Hannah is great with kids, especially Lucas, and she has an effect on Tate like no other woman he’s ever known. If they want to be together, the couple will have to see beyond the impediments that can easily keep them apart. The way they do this demonstrates Carol Ross’s adept ability to concoct sweet stories with a happy ending that leaves you feeling contented, satisfied and in anticipation of her next book so that you can revisit characters you’ve grown to love. It was a delight to return to Rankins Alaska and to be reunited with characters from the first three books in the Season’s of Alaska series. And yet, A Family Like Hannah’s can certainly be enjoyed on its own. If an engrossing story with great characters, a sweet romance and a happy ending is what you’re looking for in your next read, you’ll love A Family Like Hannah’s. I did. Highly recommended. I received a free copy of A Family Like Hannah’s from the author. No compensation was collected for my honest review. 💜💜💜💜💜 I loved this book!! An encounter with a bumble bee did not make for a pleasant introduction between Aidan Hollings and Janie Everett, and their future acquaintances weren’t faring much better. Janie, widowed and raising four boys, including a set of toddler twins, couldn’t be bothered with Botanist Aidan Hollings, although it would be difficult to avoid him since his sister was married to her brother. Why did he have to settle in Rankins, Alaska now anyway? His meddling concerning a bumble bee had caused her boys pain, and that was the last thing she wanted to have happen. However, was Janie being selfish and unwilling to accept how Aidan’s future meddling would transform the lives of her boys, teaching her lessons that would ultimately make her a better mother? Although things started off on a bad note between Janie and Aidan, might he not be the one man who could help Janie to face her fears respecting her boys’ welfare, and propel them to their greatest potential? As is customary with Carol Ross’s books, If Not for a Bee’s opening scene pulled me directly into the story. The pace was so refreshing, and even began to increase in intensity toward the end of the book which was a wonderful surprise, leading to a beautiful, Hearwarming ending. There were so many great elements to this book. I loved how many of the characters learned to acquire confidence in their abilities, and to face their fears. I’m also happy that Janie got a second chance at love after all she’d been through. I enjoyed this book so much and can’t recommend it enough to lovers of sweet romance. Carol Ross’s books just keep getting better. Thank you Carol Ross for gifting this book to me. In exchange I have provided an honest review. 💙💙💙💙💙 Shay James is conflicted. Deep down she still loves Jonah Cedar, but she can’t reconcile herself to the fact that he chose to leave her 10 years ago to pursue his law degree at Yale. Now he’s back in Rankins, Alaska, after only a few measly visits over the years, to help out his “ailing” grandfather. Shay is livid that Jonah has rarely bothered to visit his granddad after all he’s done for him. She feels that Jonah has accomplished his goals in the form of money, career and material comforts, so why would he be interested in her again, or her comparatively unassuming life of running the Faraway Inn in a remote town? Shay can tolerate Jonah’s brief existence in Rankins, but will a prolonged visit have the same effect on her resolve? Can old embers be stirred up into a flame and reunite these seemingly incompatible lovers? A Case For Forgiveness is the second book in the Seasons of Alaska series, and it was an excellent follow-up to the first, Mountains Apart. Whereas newer characters take center stage here, we get a glimpse at the lives of some of the former characters, and it was nice to see them make an appearance from time to time throughout the book. I enjoyed the pace of this book—for me it gained intensity toward the middle and kept me fixated until the end. I laughed out loud at some of the humorous parts, felt deeply touched by the romance aspects, and was mystified by the intentions of a mysterious character who finds her away into the lives of the James family. Overall I really enjoyed A Case For Forgiveness, and I expect that lovers of a sweet romance with a bit of mystery and a warm and fuzzy happy ending will too. This book didn’t receive a 4.5 star rating from RT Book Reviews for nothing!! Well done. Thank you Carol Ross for a free copy of this book. In exchange I have provided an honest review. 💚💚💚💚💚 I adored this book!! The storyline, setting, characters and conclusion were all well developed, and I remember thinking on several occasions how I couldn’t believe this was the author’s first novel. I thought it was so well written. There were laugh-out-loud moments, some treachery and deceit, and of course a sweet romance. The story flowed so nicely—I never felt bored. When you can get lost in a story you know it’s a winner, and since that’s what Mountains Apart did for me, I’d call it a winner. I recommend it to anyone who loves great wholesome romance novels.